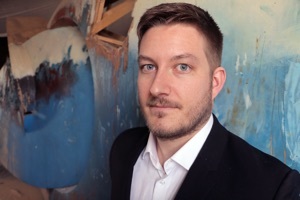 Colin Van de Reep completed a Bachelor of Music degree in performance at McGill University under the guidance of Aiyun Huang and Fabrice Marandola, and a Master of Music degree in performance at UBC where he studied with Vern Griffiths and Aaron MacDonald. 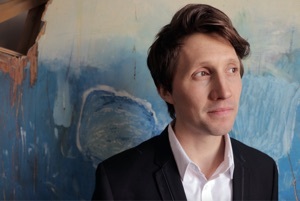 Experienced in solo, chamber, and orchestral percussion, Colin currently plays timpani with the Vancouver Metropolitan Orchestra, and has performed with the Vancouver, Vancouver Island, Kamloops, Okanagan, and Prince George symphonies, the Banff Festival Orchestra, and the National Youth Orchestra of Canada. In addition to performing, Colin is the Senior Music Teacher and Director of Bands at Mulgrave School in West Vancouver. Daniel Tones is an award-winning percussionist committed to fostering creative development in aspiring artists. He has given concerts across Canada, the United States, Asia, and the United Kingdom, been broadcast nationally on radio and television, and has performed with internationally recognized artists Bob Becker, Aiyun Huang, Morris Palter, and Steve Schick. Daniel studied with Salvador Ferreras, Russell Hartenberger, and John Rudolph, and is a professor at Kwantlen Polytechnic University in Langley, BC. 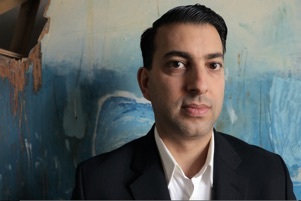 Greg Samek, from Windsor, ON, completed a Bachelor of Music Education at the University of Windsor in 2006 and a Master of Music in Performance at the University of Toronto in 2008. After graduating he joined the percussion ensemble Scrap Arts Music and toured North America, Europe, and Asia for the next seven years. He has also been a member of the National Youth Orchestra of Canada, the Band of the Ceremonial Guard, a Montreal-based Marimba duo, a Toronto-based percussion trio, and has had the opportunity to study for two years at the Banff Centre for the Arts. He currently resides in Vancouver where he continues working on solo projects and collaborations with local musicians. 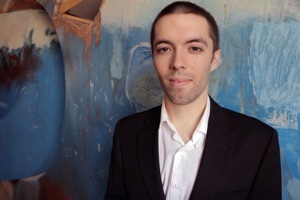 Gaël Chabot-Leclerc, a five-time winner of the Canada Music Competition, is a percussionist, entrepreneur, and manager who specializes in classical music and tango. He is an alumnus of the Berklee College of Music, and holds a Master’s Degree from the Conservatoire de musique de Saguenay, Québec. In 2008, Gaël had the honour to be part of the first YouTube Symphony Orchestra, which played a sold-out concert at Carnegie Hall under the direction of Michael Tilson Thomas. In 2010, he founded a tango group, Guardia Nueva, and in the same year created the tango festival Tang-aux-foins. Click to download biographies of Fringe Percussion’s members as a pdf.